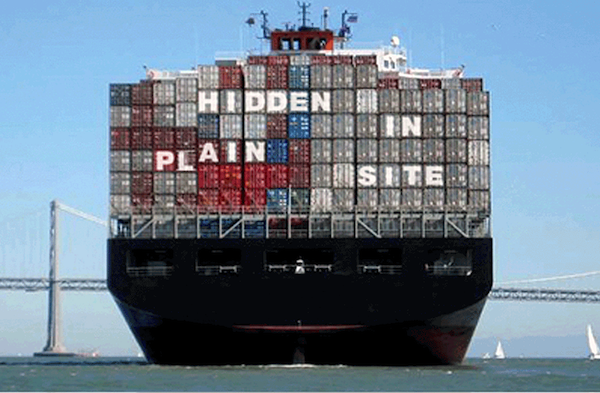 Hidden in Plain Site features creative referendums developed by a team of concerned artists determined to raise awareness of and help thwart human trafficking. Opening reception April 26 at Angels Gate State Park, San Pedro. 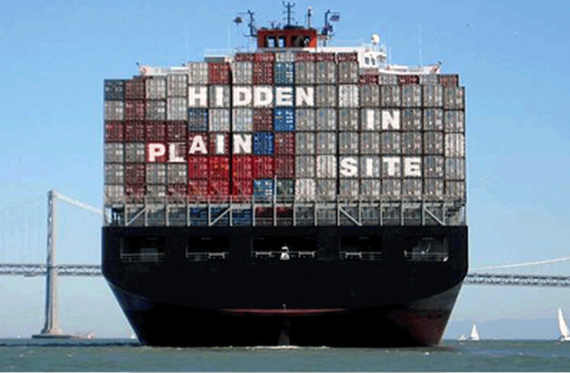 Debating Through the Arts presents Hidden in Plain Site: Creative Referendums to Human Trafficking, a series of exhibitions and public programs inspired by the United Nations (UN), which address the phenomenon of human trafficking. Exhibitions and programs are open to the general public and will run from April 26 through June 6, 2015 in several locations throughout San Pedro, Calif. Founded in 2009 by Jerri Allyn and Inez S. Bush, the overall goal of Debating Through the Arts is to demonstrate the importance of artists' contributions in identifying, articulating and addressing complex challenges we as a society face in the 21st century, such as human trafficking. "Most members of the Artist Team were alarmed to discover that slavery has existed since the beginning of human commerce -- and continues today," explained co-founder, artist and project manager Allyn. More surprising to learn is that human trafficking, which some call 'modern day slavery,' is 'hidden in plain sight' right here in Los Angeles." 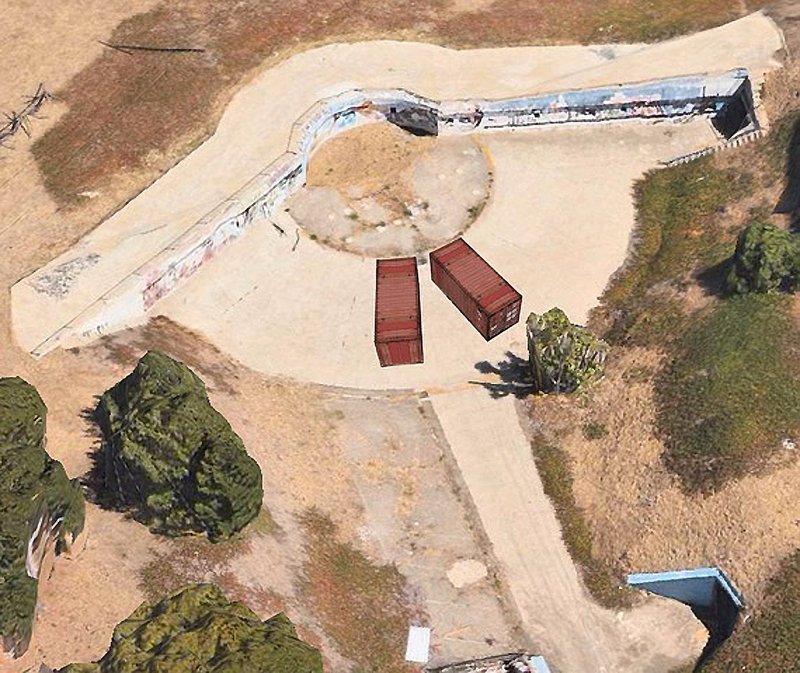 Fittingly the artistic solutions (creative referendums) developed by the seven participating artists, will be presented in two cargo containers temporarily sited on the bluff at Angels Gate State Park, City of Los Angeles, Department of Parks. Team members have designed art installations and performances that will be framed within the two cargo containers overlooking the Port. Audiences will be asked to vote on their favorite 'creative referendums' as they do in the General Assembly of the United Nations. In addition, 15 "at risk" students from Angels Gate High School in San Pedro participated in an 18 week arts course with Allyn where they were asked to explore their personal relationships to issues corresponding with human trafficking, such as freedom and confinement, dominance and submission, power over and power within. The resulting artworks, 3-foot by 5-foot acrylic paintings on canvas, are currently on display at the school and will remain on view there through April 5, 2015. Public programs and glass-case exhibit at the San Pedro Regional Library, Los Angeles Public Library. "The Team is also aligning with some agencies who are part of a regional coalition organized by California Attorney General, Kamala Harris," Allyn reveals, "to continue to raise awareness, invite dialogue, and take action toward interrupting the exploitation, forced labor, and trafficking of human beings." Members of the Artist Team featured in the cargo container installations at Angels Gate State Park are Jerri Allyn, Melissa Crandall, Katelynn Dorroh, Leah Laird, Christine Palma, Leah Solo, April Williams and Erich Wise. Student artists, whose works will be displayed in the Community Gallery, Angels Gate Cultural Center are Christopher Alvarez, Andrew Alcaraz, Deandra Blade, Jonathon Carrillo, Jacque Culpepper, Edgar Estrella, Yasmin Garcia, Samuel Jones, Miranda Juarez, Sam Lopez, Roland Smith, Rayleen Thompson, Emily Varela, Elizabeth White, Angel Zavala and Assistant Teaching Artist, Rosanna Seimeca. An opening reception for both the container installations at Angels Gate State Park and student exhibition at nearby Community Gallery, Angels Gate Cultural Center will be held Sunday, April 26, 2015 from 2:00-5:00pm and is open to the public.